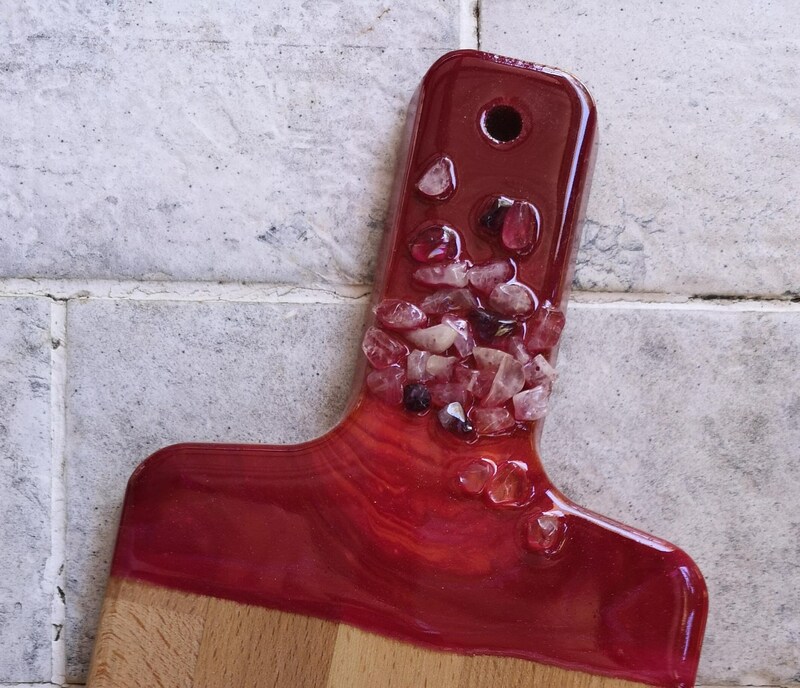 Beech chopping board or cheeseboard custom painted with resin artwork and embellished with crystals and amethyst chips. 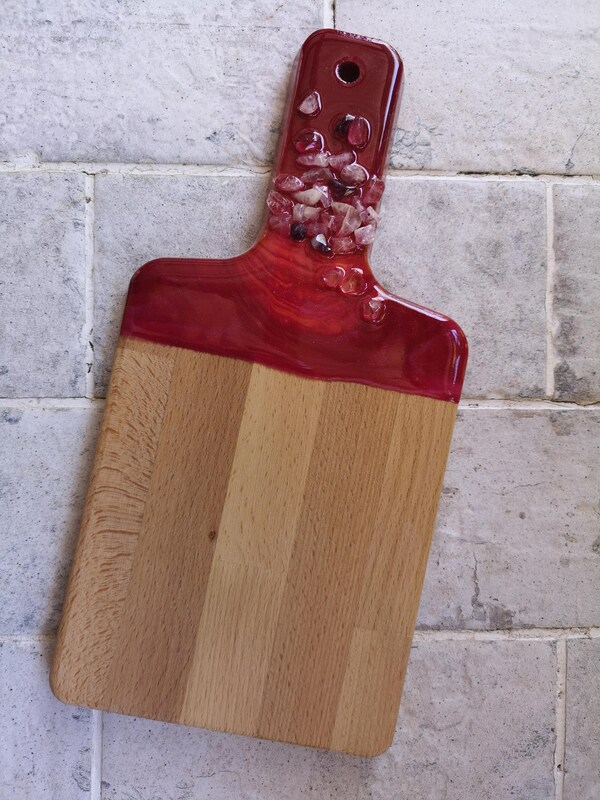 If you like texture then this board is for you, the stones feel lovely to the touch and are permanently set in to the resin. Each board comes with care and cleaning information so you can keep it looking spectacular. It has been conditioned with food-grade mineral oil. Dimensions of this board: approximately 30cmL x 15cmW. Colours used are magenta, orange and rose gold.